The National Judicial Council (NJC) has recommended compulsory retirement of Justice Mohammed Tsamiya, the Presiding Justice, Court of Appeal, Ilorin Division, and sack of two others for professional misconduct.Those it asked to be dismissal immediately are Justice I. A. Umezulike, Chief Judge, Enugu State, and Justice Kabiru Auta of the High Court of Justice, Kano State. The council’s Acting Director of Information, Mr Soji Oye, announced the decisions in a statement in Abuja on Fray. The council stated that it reached the decisions at its council’s 78th meeting held on Thursday. It directed that Auta be handed over to the Assistant Inspector-General of Police, Zone 1, Kano, for prosecution. The council said Tsamiya’s punishment followed its findings in a petition written by Nnamdi Oji against him and Justice Husseini Muktar. It said others named in the petition were Justices F. O. Akinbami and J. Y. Tukur, all Justices of Court of Appeal, who sat on the Election Appeal Panel in Owerri Division of the court during the 2015 General Elections. The council said the petition contained allegations of corruption, malice and vindictiveness; and giving perverse and conflicting decisions on the same issue in similar matters. It listed the appeals to include CA/OW/EPT/SN/50/2015: Chief Dr David Ogba Onuoha Bourdex Vs Hon. Mao Ohuabunwa & Anor. Others are CA/OW/EPT/SN/47/2015; Dr Orji Uzor Kalu & Anor Vs Hon. Mao Ohuabunwa & Orthers and CA/OW/EPT/HR/61/2015: Nnamdi Iro Oji Vs Nkole Uko Ndukwe & 16 Others. The council said there was evidence that a petitioner met with Tsamiya three times in his residences in Sokoto, Gwarinpa, Abuja, and Owerri. 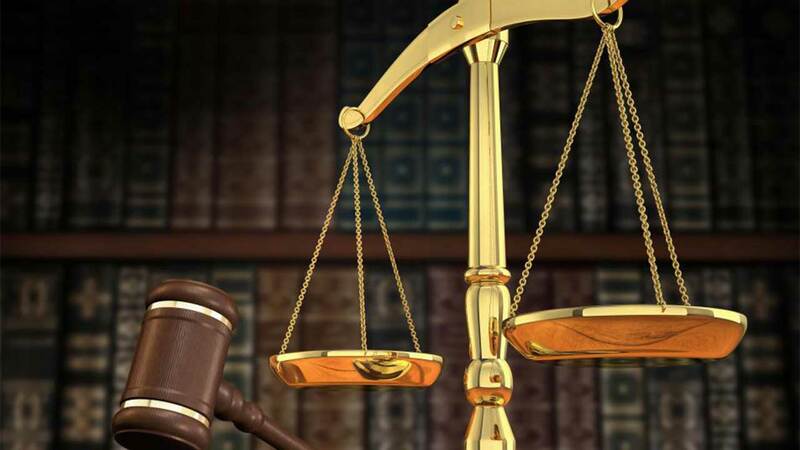 It said that on those occasions, the judge demanded from the petitioner the sum of N200 million to influence the Court of Appeal Panel in Owerri or risk losing the case. The council, however, said the allegation of giving two conflicting judgments on the same matter was not true as the two judgments were in respect of two different appeals. It noted that one of the appeals was in respect of a House of Representative seat, while the other involved a Senate seat. The council also held that there was no allegation or evidence that the petitioner met or discussed with Mukhtar, Akinbami and Tukur in respect of the appeal before them and exonerated them. The council stated said Umezulike should be compulsorily retirement based on the findings on allegations made against him by Mr Peter Eze, a legal practitioner. Ii said the chief judge failed to deliver judgement in Suit No E/13/2008: Ajogwu V Nigerian Bottling Company Limited in which final addresses were adopted on Oct.23, 2014. The council said the judgement was delivered on March 9, 2015, some 126 days after addresses were adopted, contrary to constitutional provisions that judgement should be delivered within a period of 90 days. It also said Umezulike in Suit No E/159M/2014, Ezeuko Vs Probate Registrar, High Court of Enugu State and three others ordered the police to arrest the petitioner after the matter was amicably resolved and judgement entered on terms of settlement. The council further held that the chief judge in a speech he delivered at the Eastern Bar Forum on March 4 openly made uncomplimentary remarks containing vulgar language against the petitioner. It also said that at the time of the book launch of the chief judge, a donation of N10 million was made by Prince Arthur Eze during the pendency of two cases in his court. The council held that the donor had vested interest in the two matters. The council also stated that it found that there had been many instances of abuse of judicial powers by the chief judge, particularly against the two defendants in Suits Nos. E/6/2013 and E/88/2016. It said the chief judge clung to the suits to remain in his court, in spite of all genuine efforts made by the defendants to get them transferred to another court. According to the council, the chief judge sitting at a vantage position of Senior Judicial Officer and Head of Court should not have allowed his emotions to dictate his judicial functions. In the case of Auta of the High Court of Justice, Kano State, the council said his dismissal and prosecution became necessary because of the allegations against him by Alhaji Kabiru Yakassai. It held that the petitioner paid the sum of N125 million into an account approved by the judge. The council also said that the petitioner further made cash payment of N72 million to Auta in several instalments through his Personal Assistant, Abdullahi Bello. According to the council, those payments are ostensibly for the purpose of assisting a former Chief Justice of Nigeria to secure an accommodation. It said the gesture was also aimed for the petitioner to be in turn rewarded by the award of some contracts. It said Auta facilitated telephone communications in his house between the petitioner and the purported former chief justice of Nigeria. The council said Auta facilitated meetings between the petitioner and a lady who introduced herself as the purported chief justice of Nigeria in a hotel in Kaduna. The council said the petitioner suspecting foul-play went ahead to report the matter to the police. It said Auta agreed to pay the petitioner the sum of N95 million as part of his claim while one Abubakar Mahdi was to pay the sum of N125 million to the petitioner. The council said pursuant to the agreement, Auta made a part payment of 11, 000 dollars and N16 million respectively to the petitioner. It held that Auta undertook to pay the balance before the commencement of the fact finding committee set up by NJC on the allegations. It said Auta admitted accepting to pay the money as agreed in AIG’s Office in Kano in order to protect his image and the image of the judiciary. The council quoted Auta as saying that the settlement was for him to pay N35 million and not N95 million and to that effect paid N20 million so far, including the 11,000 dollars. It further quoted Auta as admitting that the petitioner was his friend and had always sought favours for his people who had matters before him. The council said such conduct by Auta was in itself self-indicting and a serious abuse of Judicial Oath.